Home \ Eye On LA \ One on One with Cybill Shepard and Ted McGinley: Do You Believe? A dozen different souls—all moving in different directions, all longing for something more. As their lives unexpectedly intersect, they each are about to discover there is power in the Cross of Christ … even if they don’t believe it. Yet. This stirring new film from the creators of God’s Not Dead arrives in theaters March 20, 2015. 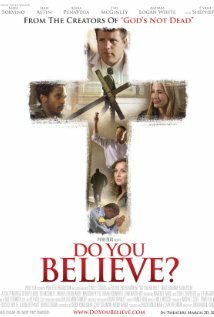 More than a movie, it’s a question we all must answer in our lifetimes: DO YOU BELIEVE?